On April 7, 1630, the last well-wishers stepped off the ship Arabella and returned to shore. More than a week after the vessel first set out, the winds were finally favorable. The ship weighed anchor and sailed for New England. 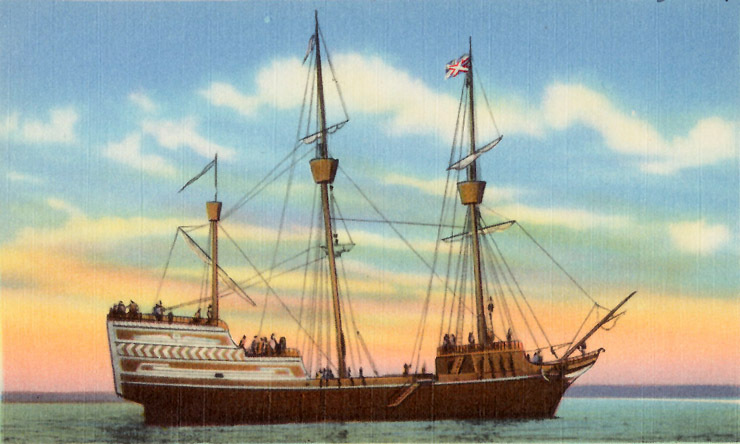 Governor John Winthrop and approximately 300 English Puritans were on board. They were leaving their homes in England to settle in a fledgling colony — Massachusetts Bay — on the other side of the Atlantic. There they would work “to do more service to the Lord.” Governor Winthrop shepherded the Puritans through 12 years of enormous hardship. Under his leadership, Massachusetts Bay became the most populous English colony and Boston the largest city in North America.